The Club first introduced a medal for a rink-based competition in 1878. 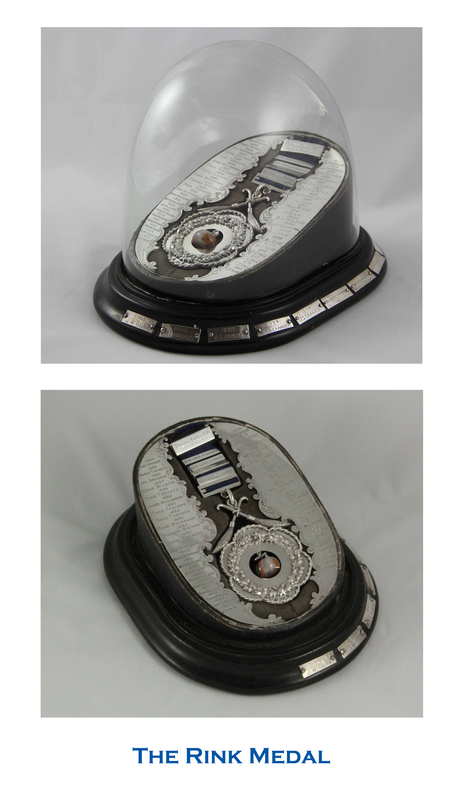 The Rink Medal, as it became known, was gained by the winning rink in a knock-out competition usually played over 1-2 days. It was awarded right up to the 1970’s. Thereafter it has been more commonly referred to as the Outdoor Medal and it is still awarded on those few occasions when outside ice on the Low Pond permits. In modern times it may be awarded for a single nominated game if ice is likely to be restricted because of changes in the prevailing weather. Sir Alan Seton-Stuart was a member of the Club in the period 1890-1892, and thereafter became an Honorary Member. Sir Alan was a brother-in-law to Sir George Douglas Clerk, having married Sir George’s eldest sister, Susan Edith Clerk. 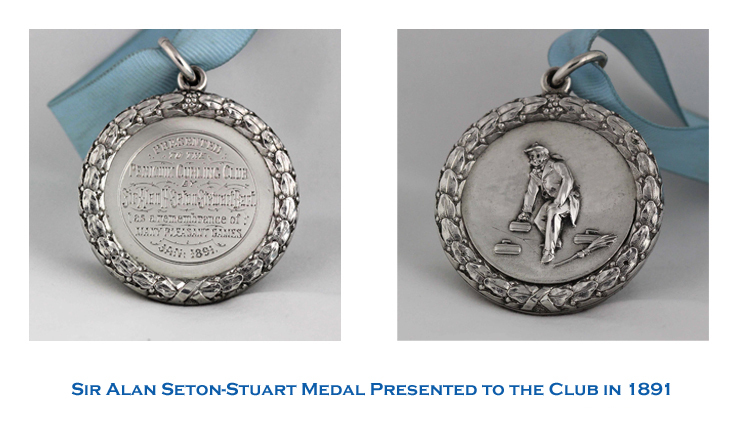 In 1891, to mark happy memories of playing with the Club on the Low Pond, he presented the Club with a silver medal, to be contested for by rinks, on a knock-out basis. The first competition in January 1891 involved six rinks, and on that occasion the medal was gained by the rink of Charles W Cowan. The medal was contested on a further 12 occasions up to 1947. This medal has been awarded annually to the winner/runner-up of the Singles Competition. 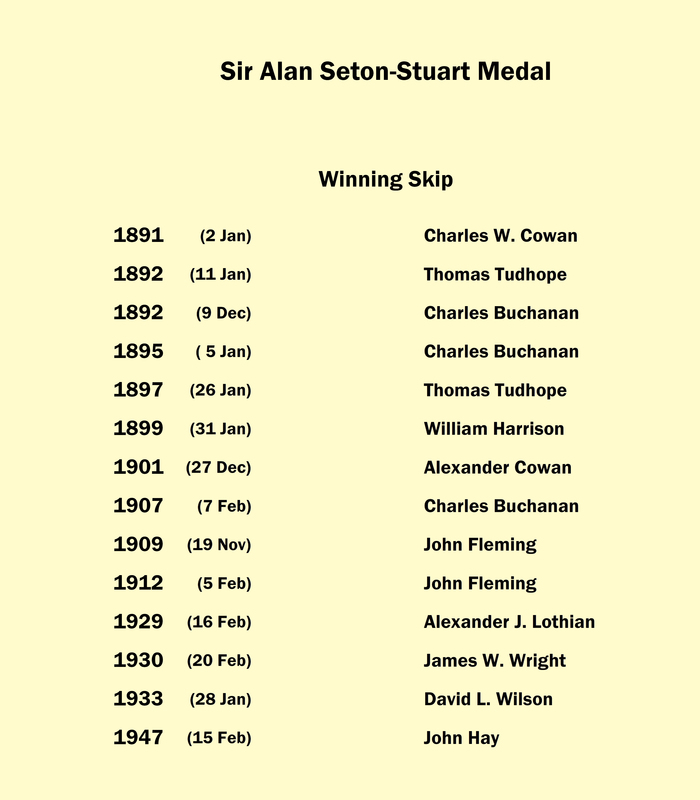 Sir Alan also provided a trophy for a one-off Knock-0ut competition in December 1892. On that occasion, 4 rinks were involved, and the winner of the trophy was determined by the individual members of the winning rink playing two shots each at drawing and striking.